If you've decided to pop your head into the garage to work on your JK, we have an interesting upgrade for you. 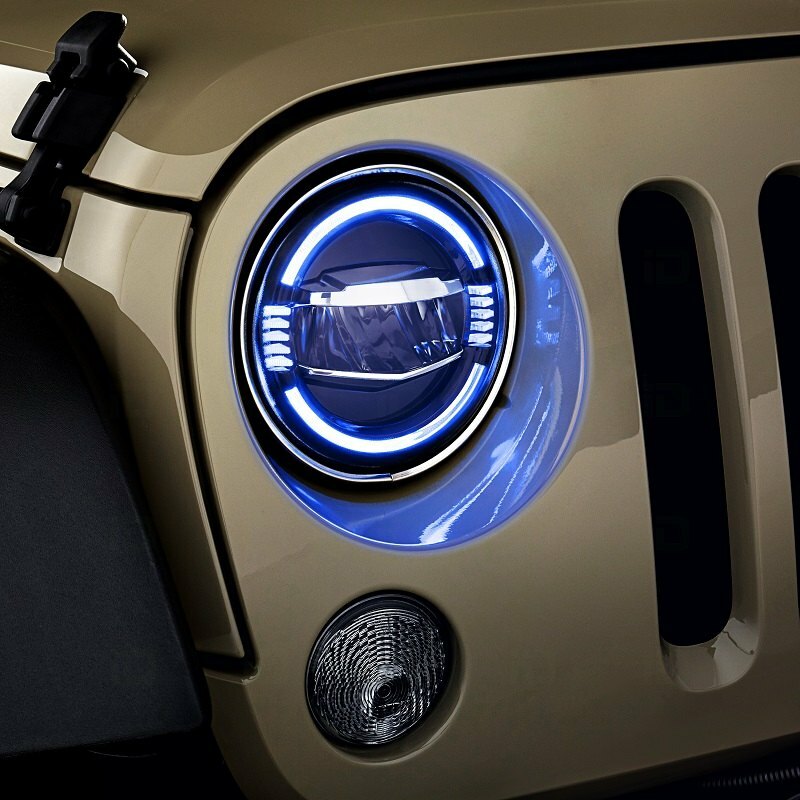 Enhance the front end of your Wrangler with a set of fresh and innovative 7" Round Black LED Headlights by Lumen. 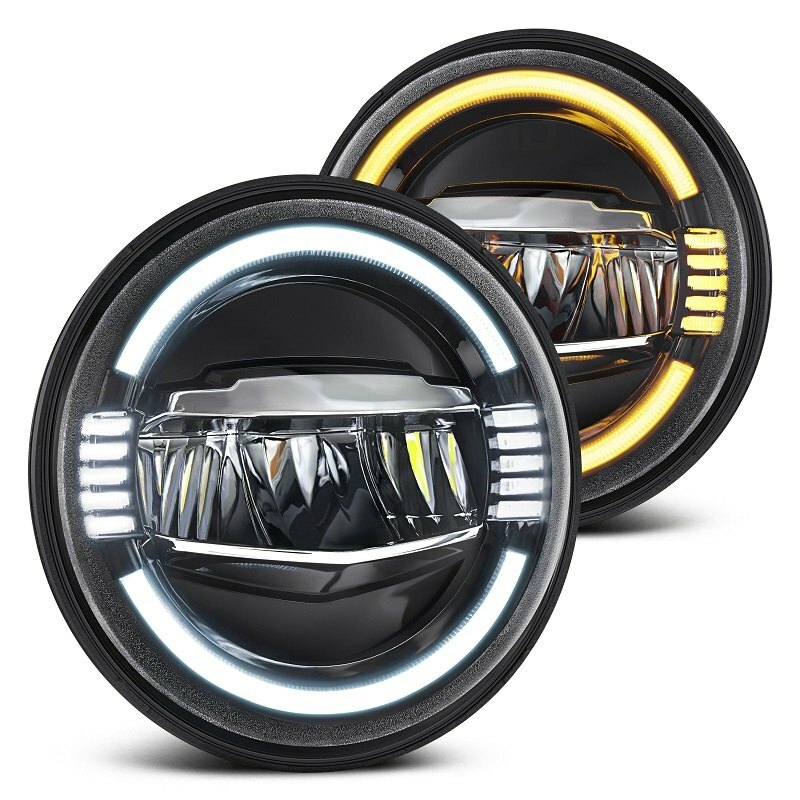 Their newest set outfitted with the advanced Switchback Halos is manufactured from the finest quality materials using the advanced LED technology to ensure maximum durability and reliability to you day by day no matter the weather conditions or the road environment. LED technology delivers brilliant light for greater vehicle conspicuity with less power consumption and longer bulb life. DRL light option is integrated into a turn signal function and the Halos illuminate amber every time you turn the side markers on. What is more, every time you start your vehicle, DRL lights these headlights are equipped with, will illuminate in a stunning blue color and then change to pure white. Lumen headlights meet U.S. DOT, FMVSS108-1998 regulations and are completely legal for highway use. Thanks to their convenient plug-and-play design, they are extremely easy to install and require only some minor work during the installation. * Black housing, clear lens. Our product expert Greg couldn't just stand by and has also prepared an in-depth overview of this set where all the most important details are highlighted. 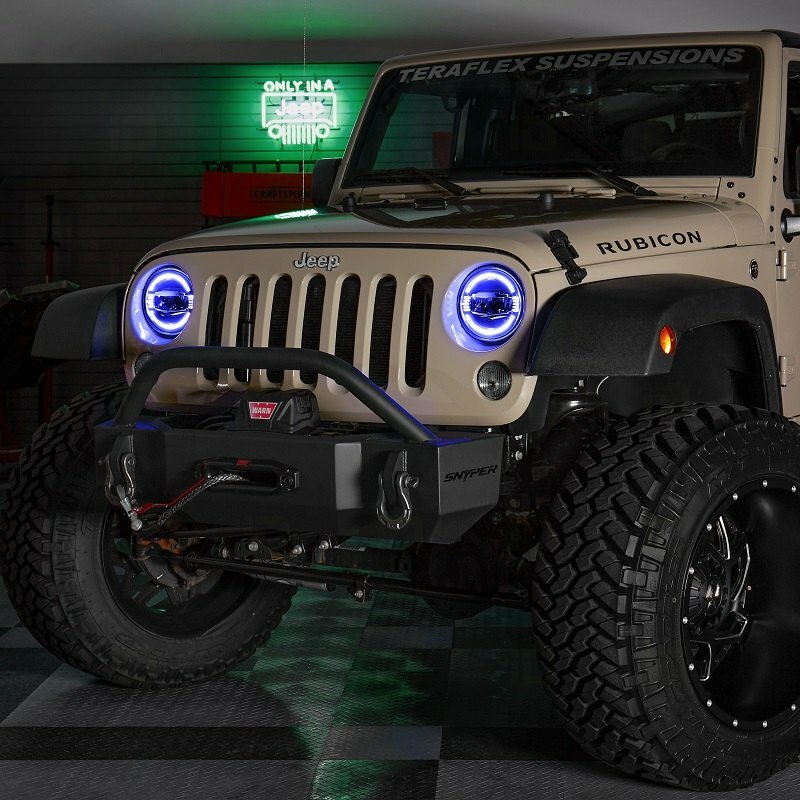 To keep things classy and tasteful with your Jeep, see the whole series of similar Lumen headlights on our website as well. If any additional questions appear, feel free to shoot me a P.M. For immediate assistance, please call free at 888.978.3395. Quick Reply: Modify the front end look of your JK with Lumen 7-inch LED Headlights + CARiD Review!